Good day to all the pretty moms-to-be! Do you need a helping hand regarding fashion? I have some wonderful outfit ideas and tips that you will find helpful. While having the cold fall days already here, you need some good outfits that will keep you warm at the same time. Yes, we know how difficult it is to find fitting clothes. 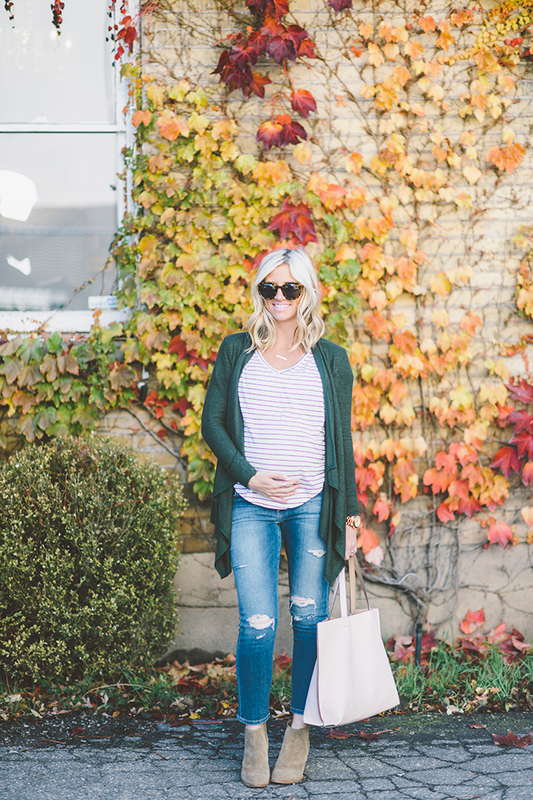 The Warm Fall Maternity Outfits that I want to show you today are consisted of both maternity and non-maternity clothes. Wow how cool is that?! If you find it hard to dress your baby bump for fall, then this gallery will inspire you. You can start with your favorite oversize sweater. Take advantage on the most popular fall piece , that is not only for the moms to be. Everyone can pair a cozy sweater with a pair of jeans. Add some ankle boots and you have the perfect casual fall outfit. Stretchy dresses can become your favorite piece. These will provide you with comfort and style too. Add your favorite cardigan on top and you are ready to go! Adding a bit of pattern here and there won’t hurt! Take advantage on the playfulness that a patterned scarf would bring to your outfit. Use it to bring style and layer it n top of the outfit. 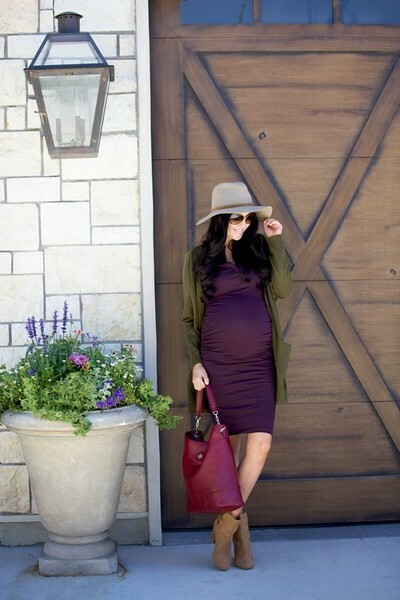 With having these Fall Maternity Outfits on your mind, you can easily create a few outfits. I recommend you to check up on the available items in your wardrobe and think of all the combos that you can make. Feel free to layer items and play with colors. Which one of these Fall Maternity Outfits caught your attention? We would love to hear about which is your favorite one. Feel free to share this with us in the comments! 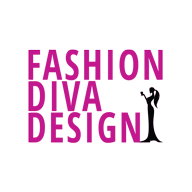 Also, do not forget to follow Fashion Diva Design on Facebook and Twitter!